Refinancing is on the minds of many homeowners right now. Rates are at the lowest they have been since the early to mid 1950s, and there is nowhere else for them to go but up. As one mortgage professional said recently, "you can't go lower than zero!" For this reason, it is imperative to look into refinancing, even if your credit situation is less than desirable. 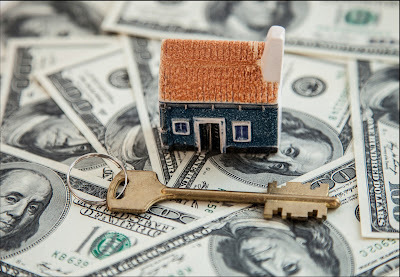 The lower rate over time will save tens of thousands of dollars, and if the mortgage is refinanced from a 30 to a 15-year loan, there is much to be gained in having no payment that much sooner. In 2007, 5.75 percent was an incredible rate on a 30-year mortgage. Today, that rate is no longer competitive, considering that borrowers with less-than-desirable credit ratings can get a rate of 5 percent and maybe even lower. Knowing this, and viewing the history of mortgage interest rates over time, it is apparent that they can go a little lower, but not by much. So now is a great time to take advantage of the lowering rates, even if you don’t think you don’t need to. Paul Volcker was the Chairman of the Federal Reserve during the Carter Administration. During this time, interest rates rose drastically, leading to much short-term pain for individual consumers, but much growth and stabilization for the United States in the long run. Today, things appear to be the same. Inflation is outpacing pay raises to the point that Senator Elizabeth Warren (D) of Massachusetts noted that for minimum wage to be competitive with where it had once been, employees would have to be earning $22 per hour. While the American people have enjoyed low rates, and may continue to do so, there will come a time when they will adjust upward not only because that is the nature of the cycle, but also because it will help the economy grow. It stands to reason that paying less money in bank fees is better than paying more. This is the reason why if a person finds a $30 charge for going below the minimum balance of the account, it is worthwhile to make a quick call to the local branch and ask that it be forgiven. When it comes to mortgage interest, the situation is much more serious, but for some reason many avoid it. Over 30 years, a mortgage at a 6 percent rate will cost more in interest than it will in principle payments. This is absurd when compared to a 3.5 percent rate on a 15-year loan, especially when it breaks down to having nearly the same payment every month. On top of this, if a homeowner was to have gotten a mortgage in 2007 at 6 percent and had it reduced to 3.5 percent today, it would reduce the life of the loan by nine years. That is nine years of not having a payment. If the payment is $1,000 per month, it would mean that $108,000 in payments that could go toward savings, investments, or paying for college tuition. On top of this, checking out the deals that are available cannot hurt. What can hurt is to let the opportunity pass by to pay less each month. About the author: This article was written by Richard Craft, an MBA student who looks forward on sharing his knowledge with readers throughout the web so they can make better financial decisions. He writes this on behalf of Houses.com, your number one choice when looking for a new house to buy or for selling your house. Check out their website to see how they can help you.